Pranking is always fun, as long as you’re not the one that’s being pranked. Whether it is a simple whoopie cushion on their seat or a more elaborate plan that involves lots of man hours. Regardless of the prank, we can all agree that when someone gets pranked, it is hilarious. 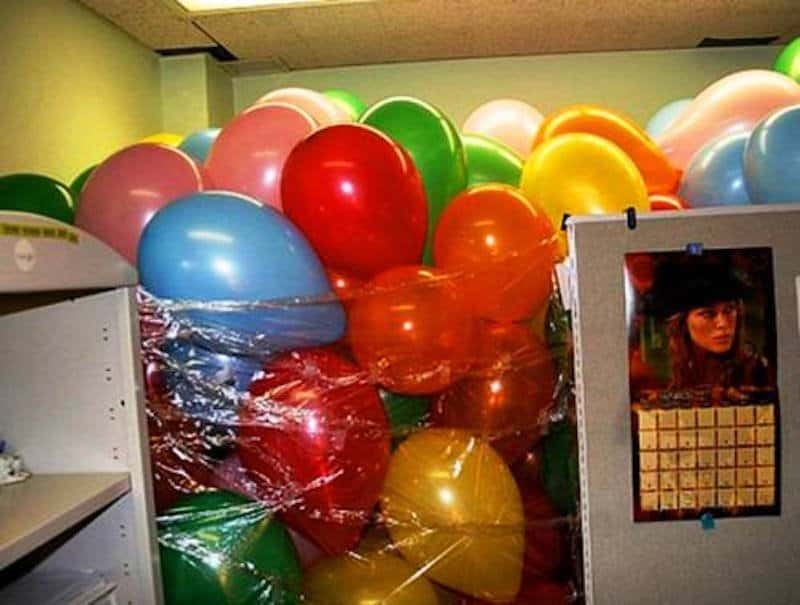 Pranks can come in various forms, whether it is placing some almost-invisible tape on a doorway or by plastering someone’s workspace with photos of Justin Bieber. Here are some of the most hilarious pranks that you’ll ever see, and maybe you should try them on April 1st! 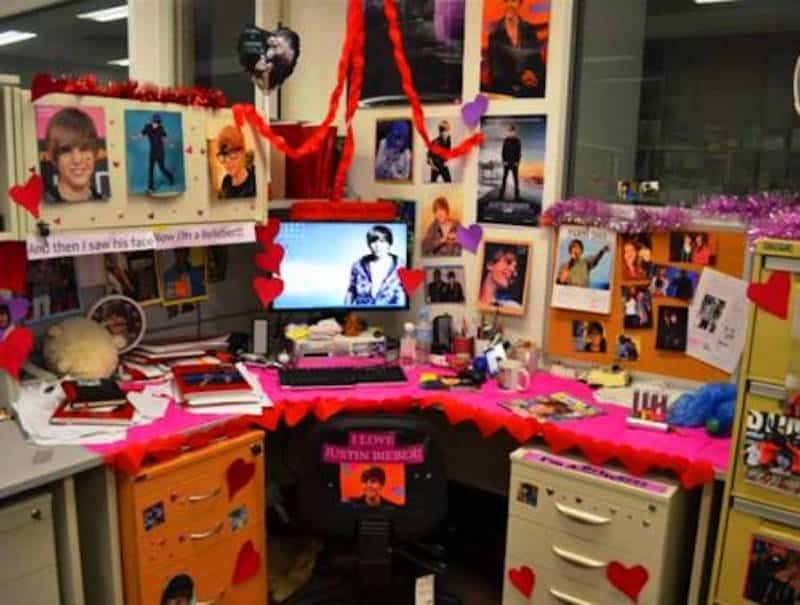 If you know someone that hates Justin Bieber, turn their desk into a Bieber shrine. This would have taken a lot of deep-breaths to fill these balloons. 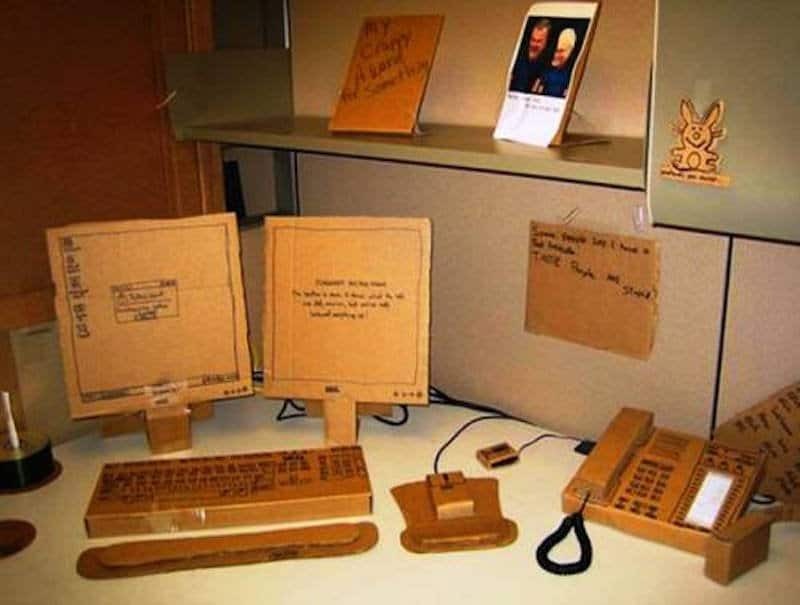 Let’s just hope the person who works in this cubicle doesn’t have a pin, otherwise you’ll regret pulling this prank. Need something to write on? 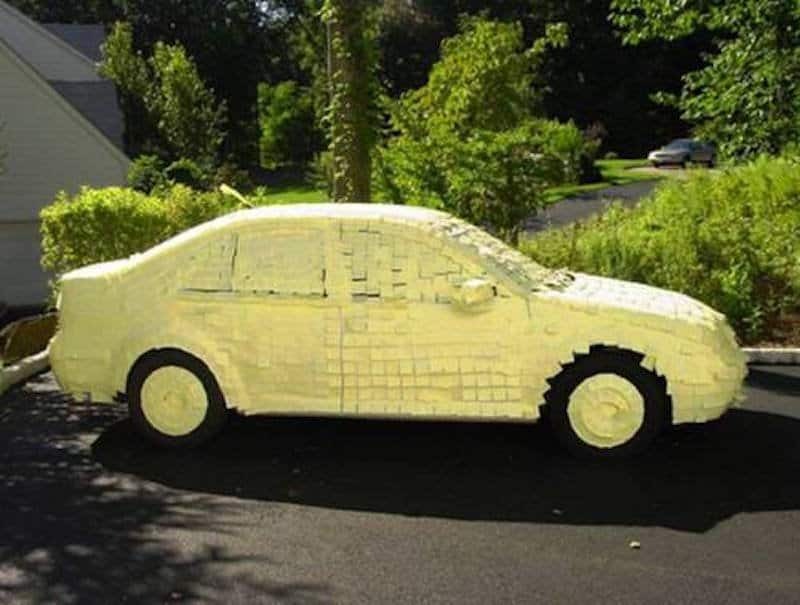 Just go get a sticky note off of your car. 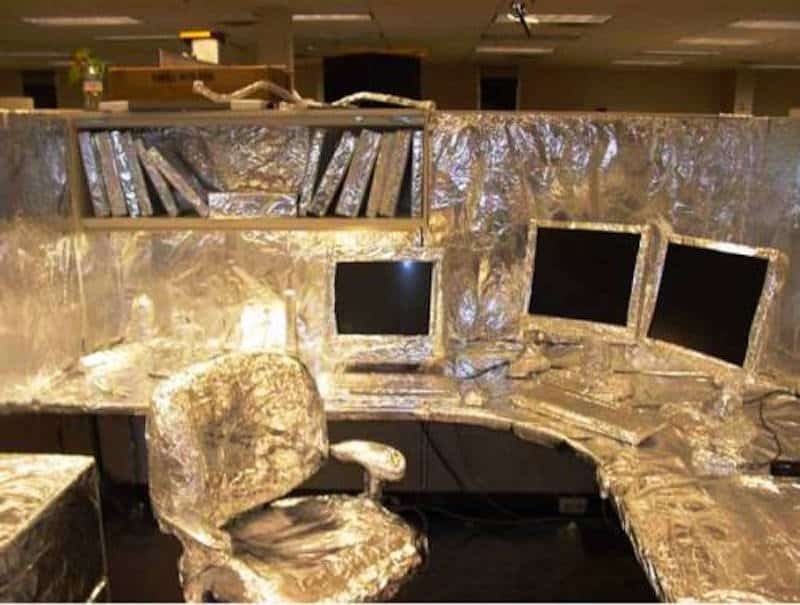 Maybe this wasn’t a prank, the person who works in this cubicle is just incredibly paranoid. 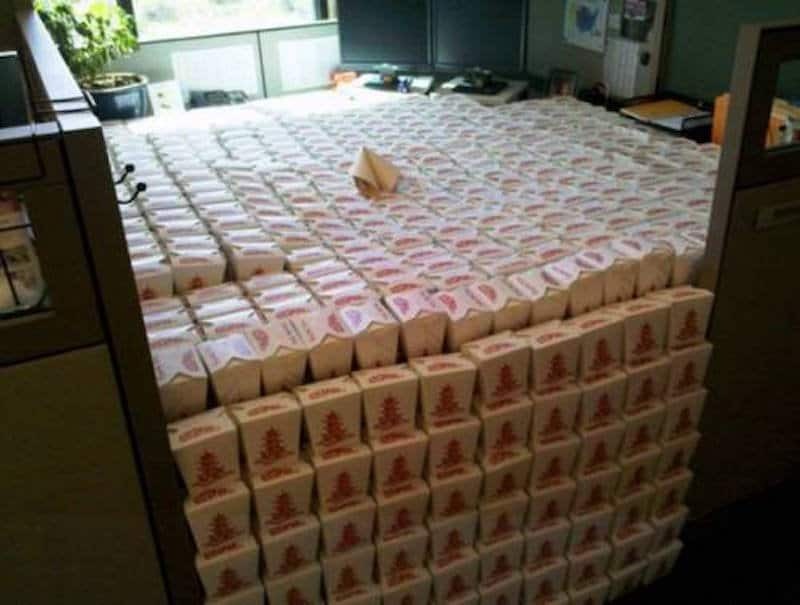 Now that’s a lot of take-out! 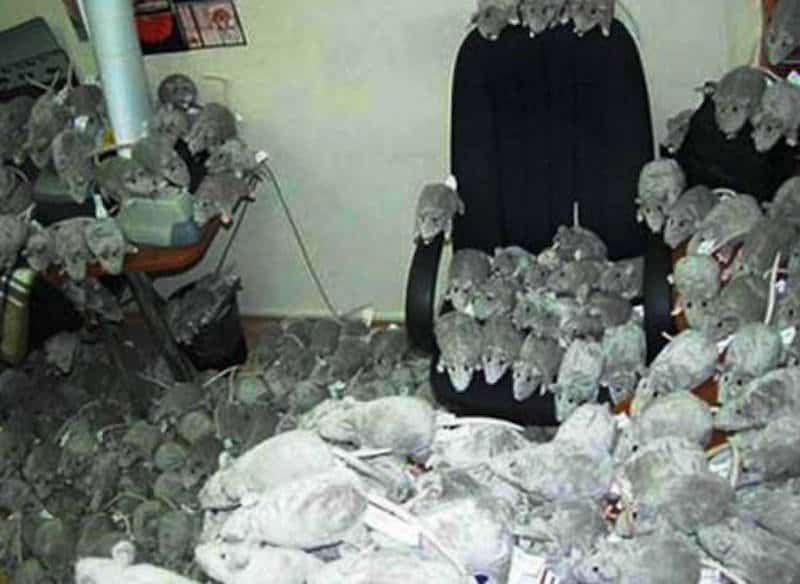 We all have that friend that’s scared of rats, so it’s even funnier when you use them as a prank. Don’t like someone? 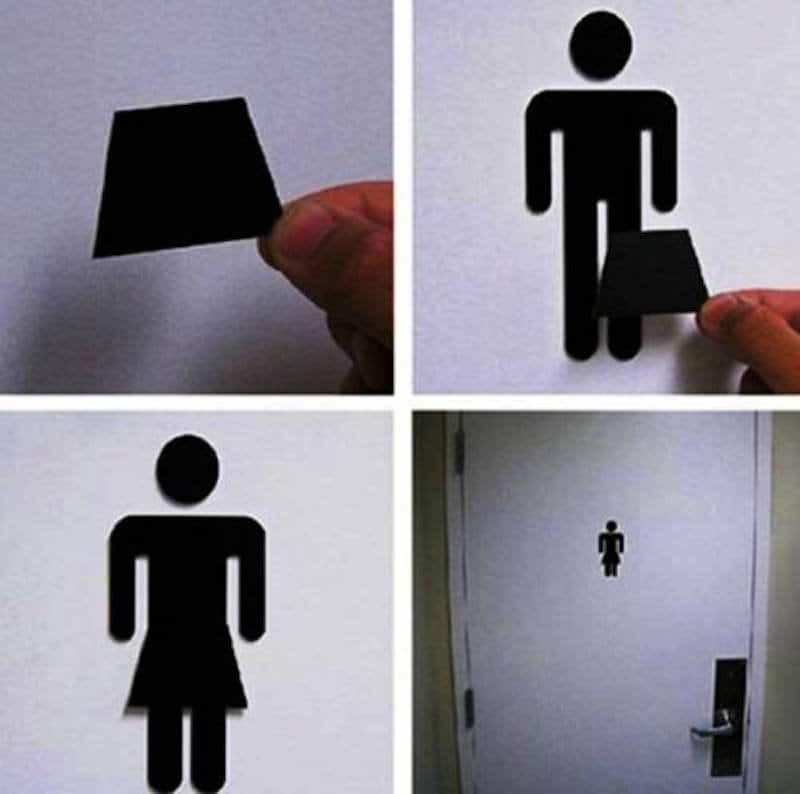 Just change the toilet door sign around. Wanna scare someone with some poop? 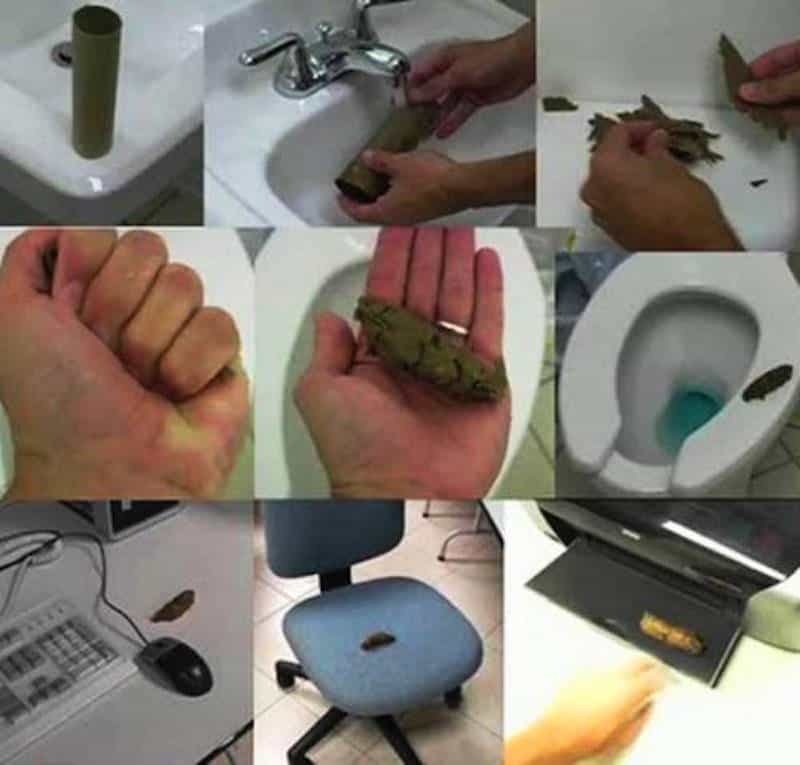 Just try this prank out! What happened to his computer and phone? 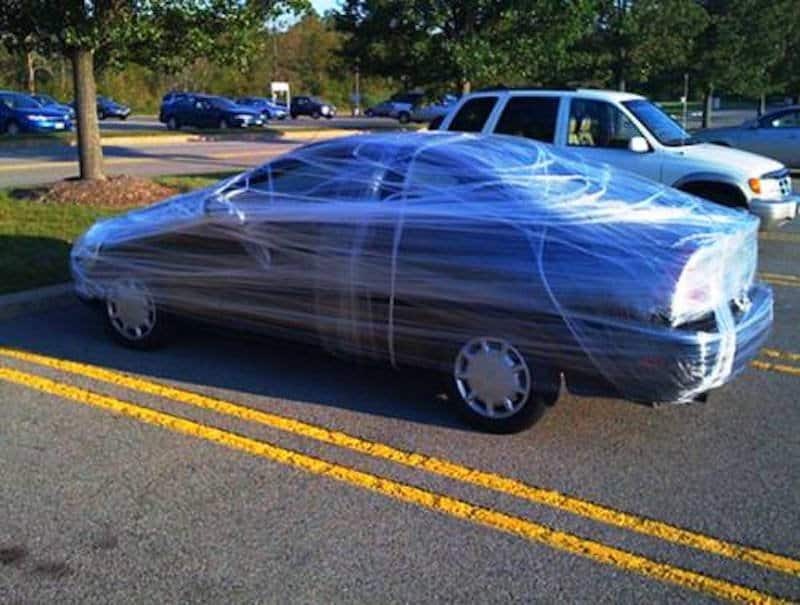 Imagine wanting to go out, walking outside just to find that someone had done this to your car.